Famous for its well preserved ecosystems, The West Bali National Park is a paradise of rainforest, dry savannah, acacia scrub, lowland and montane forests. A truly unique landscape of natural beauty, this park is also home to many species of animals such as deer, monkeys, pheasants and the endangered but iconic bird, the Bali Starling. 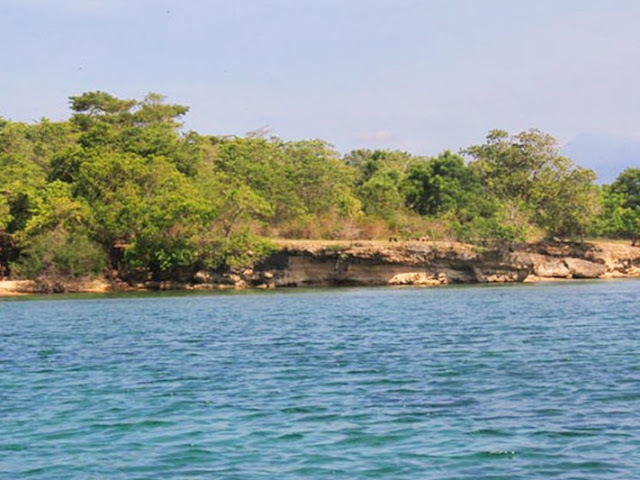 With the purpose to conserve and promote this exotic haven of flora and fauna , Plataran Indonesia together with PT. Trimbawan Swastama Sejati (TSS) is constructing a New World Wonder Destination, called “Plataran L’Harmonie – The Gateway Planet, Nature Unleashed”. This new eco tourism destination encompasses an enormous 382 hectares of pristine land and 10km of breathtaking coastline that will impress visitors with an amazing holiday experience like no other. Guests will have to venture 4 kilometres into the jungle, following rustic wooden road signs on a macadam paved path to find this new gem of a resort. As commitment to conserve its surroundings, visitors must adhere to strict regulations such as no hunting, no unauthorized fishing, no cutting of trees and keep to a vehicle speed limit of 10km/hr. Where wild nature meets luxury, visitors of the Plataran L’Harmonie will experience world class accommodation at one of their exclusive villas and residence suites. Each villa is equipped with spacious and luxuriously traditional indoor living quarters, a garden and a plunge pool with a private view of the ocean. The residence suitesalso provide million dollar views of the ocean and is furnished with a tropical modern design, creating the ultimate beach getaway feel. The resort offers a world class restaurant, an exciting Water World package, a wedding chapel, a jogging track through the jungle and access to the Octagon Beachclub with its impressive ocean front infinity pool spanning nearly 50 metres in length. Plataran L’Hamonie also provides phinisi and yacht operations where guests can book an unforgettable cruise or dive package. Divers can explore the unbelievable underwater landscapes with a guided professional or for families and couples, enjoy a romantic dinner cruise to the backdrop of the beautiful sunset. For the more environmentally inclined, visitors would love to engage in a range of fun and enlightening activities that are based on the principles of sustainable development. Tree planting and conservation of marine and terrestrial life are just a few of the activities available. For the more thrill seekers, The West Bali National Park and neighbouring Menjangan Island are an exotic fun ground where visitors can go horseback riding, snorkelling, biking, bird watching and even dining. The new facilities at Plataran L’Harmonie were officially inaugurated on May 16 by Tourism Minister, Dr. Arief Yahya M.Scand Environment and Forestry Ministry’s Natural Conservation Ecosystems Director General Dr. Tachrir Fathoni , M.Sc, who both support Plataran’s Conservation activities. Plataran is a holder of the Nature Utilization Business License and a recipient of Best National Park Management from the Environment and Forestry Ministry. On 27th September, Plataran L’Harmonie was recognized as one of the Top 100 Sustainable Destinations on World Tourism Day and Green Destination Day at Ljubjana, Slovenia. The Award was received by David Makes on behalf of PT Trimbawan Swastama Sejati and has brought great pride and hope to the Indonesian tourism industry. Makes, who is also the Chairman of the Tourism Ministry’s Ecotourism Acceleration Team, said, “The nomination of Indonesia as an eco-tourism destination is a testament of Indonesia’s role in the global tourism landscape. The development of Indonesia’s eco-tourism is the way forward and concretely implements the motto of the Ministry of Tourism: More Conservation, More Prosperity”. At the same award ceremony, the spectacular diving resort and conservation center at Misool in Raja Ampat West Papua, also made the Top 100 Sustainable Destinations list.